The scope of the conference ‘’Research as development perspective’’, is to provide the younger chemists, both postgraduate and undergraduate, with the opportunity to be well prepared for their next career steps, in respect with the increasing demands in the job-market. Moreover, the students will have the opportunity to present their work in a large audience and strengthen their soft skills, while playing an active role in the organizing of this event. 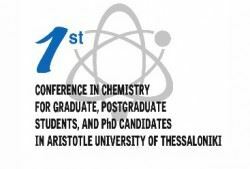 The conference will be held at the KEDEA Conference Centre (Research Centre for the Dissemination of Research Results) of the Aristotle University of Thessaloniki (AUTH) and is organized by the AUTH Chemistry Department, the Regional Centre of Central and Western Macedonia of the Association of Greek Chemicals (ΕΕΧ) and the Association of Chemicals of Northern Greece. Incorporating fully the concept of innovation in packaging, Thrace Group has just launched the 3D Studio, an essential tool that lets you take creative control of the development of your product. Thrace Pack plant in Ioannina won the gold award during the 5th Environmental Awards ceremony, that was held on Tuesday 10th of July 2018, in Ariadne Estate. Thrace Group was one of the few companies that won a gold award for their environmentally-friendly performance and operations of their facilities. The new weed control, flame-retardant groundcover fabric has just been launched at Greentech 2018, breaking new ground in fire safety. Thrace Pack, a Thrace Group subsidiary, received an honorary distinction for its Health & Safety initiatives. Thrace Group’s plastic cup with a sleeve stood out from the competition at this year’s event, by winning the silver award. Promoting innovation yet once again, Thrace Pack supported the joint candidacy of three University Institutions in Ecotrophelia Competition.